Walk back in time and discover the wonderful and rarely seen geological features hidden in our woodland. 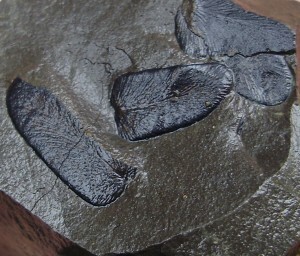 Find the coal seams that made South Wales famous and fossilised roots of over 300 million year old trees. 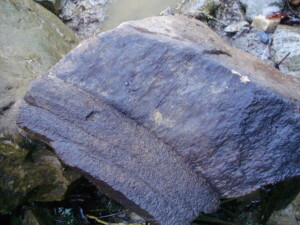 During the 1980’s the 23 acre clay pit site was designated as a Geological SSSI because of the exceptional and internationally important Carboniferous, Westphalian A, B and C Coal Measure rocks exposed here. The geology of the site is considered of great importance being one of only two remaining places where these extensive sequences of Upper Carboniferous strata can be examined. and Coed-y-Werin has been designated a Site of Special Scientific Interest (SSSI) because of this. Over 350 million years of geological history are revealed in the exposed rocks. You may be able to find fossils that were trapped in the layers of coal, mudstone and ironstone, formed when tropical swamps covered the area in prehistoric times. 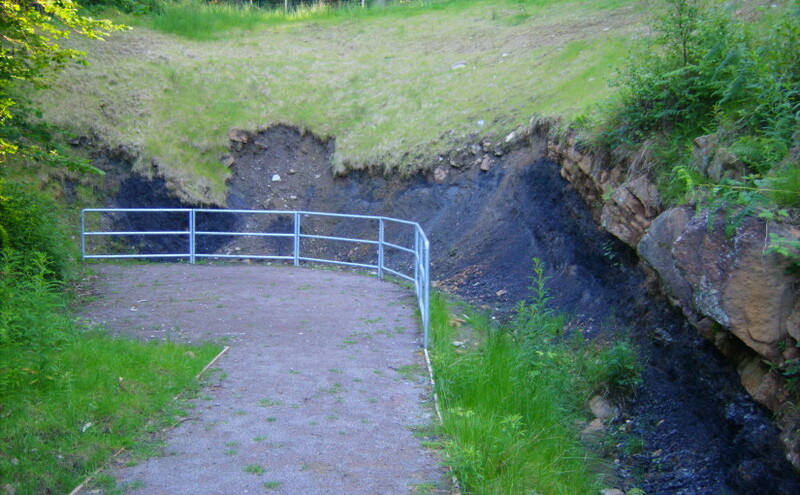 You will also be able to see coal seams that were famously mined in the Rhondda, Taff and Rhymney valleys. The coal was taken all over the world from the ports of Cardiff and Barry.